Named in September, 2008 Managing Director of the French national Videogame organization, the professional organization which federates, represents and defends the interests of the French videogames developers, Julien Villedieu has an original professional course which allows him to arrest problems of the world of video game. 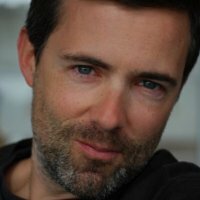 Jurist, having practised during 5 years in law firm in the field of intellectual ownership in innovative industries, he contributes then during more than 5 years to the development of industry and numerical ecosystem, notably course of study video game in region Rhône – Alpes as manager of Lyons Infocité-Lyon Game. As part of his functions, it participated in creation and in realization of emblematic projects. Today his functions lead it to contribute with and for the professionals of video game in the establishment of the optimum conditions of development for the firms in France. The SNJV organize each year 2 events dedicated to professionals: The European Indie Game Days (November) and the WebGame Conference (June).